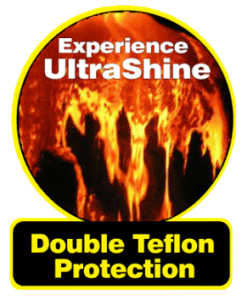 A 2 step process which includes a foam polish that is buffed into the paint, followed by a Teflon sealant with UV inhibitors that strengthens the paint for 30 days against harmful environmental elements such as acid rain, bird droppings, tree sap, bugs and Ultraviolet rays. Benefits – Great paint protection and enhanced shine to the paint. 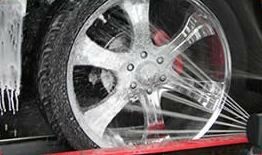 Wheel Brite – A 2 step process in which a foam chemical application loosens brake dust and road grime from the wheels, after which a rotating high-pressure nozzle follows the wheel and blasts off the dirt, resulting in clean and shiny rims. Benefits – Brake dust removal resulting in clean and shiny wheels. Tire Shine – Brushes automatically apply a tire dressing at the end of the wash process leaving your tires with a gloss black finish. Benefits – Beautiful black glossed tires. The finishing touch to a clean shiny car! 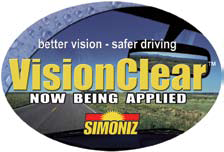 Vision Clear – A silicone product applied as a foam before the final rinse that forms a molecular film on the windshield and seals the microscopic pores, thus repelling rain, snow and sleet. The VisionClear protected surface causes water droplets to bead up, allowing the windshield to blow the droplets away as you drive. 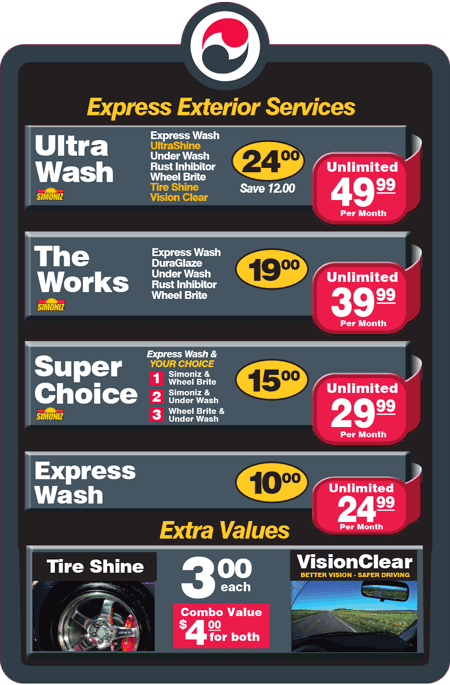 Benefits – Better vision and safer driving in the rain and snow!